Foreclosures for Sale | Ocala & The Villages, FL Explore Foreclosed Homes for Sale! In the areas of The Villages and Ocala, there are many houses available for sale in these central Florida communities. These two small towns have a lot to offer residents including foreclosed homes. These foreclosed properties offer good deals for anyone looking to buy in these areas. A foreclosure is a legal process in which a mortgage lender takes ownership of a piece of real estate. The mortgage lender gave the homeowner a mortgage to buy his home. However, when the homeowner fails to make timely mortgage payments, the lender begins foreclosure proceedings to take over the property. When the homeowner got a mortgage, he agreed that the house would be used as collateral should he default on the loan. The main reason people want to buy foreclosed homes is the low price. 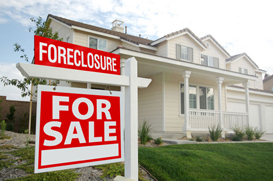 Foreclosed properties are generally sold at bargain prices. This is because the mortgage lenders want to sell mortgaged homes as quickly as possible. Owning and managing real estate is not their business. Mortgage bankers are in the business of lending money. Another reason to consider buying foreclosures is that there are many such properties for sale. This means that home buyers have a wide range of choices when it comes to finding their dream house. It is Safe to Buy Foreclosed Homes? There are many horror stories of the problems people face when buying foreclosed homes. This is why some people are afraid to even consider buying a foreclosed property. However, by educating yourself about foreclosures and working with a real estate agent who specializes in helping people buy foreclosed homes, you can avoid many common problems. Although you have to purchase a foreclosed property “as is,” you can get a house in good condition by getting a home inspection to make certain the property is habitable. It’s safe to buy a foreclosed home if you understand what the foreclosure process entails. As the economy slowly improves, more people are looking to buy homes in Florida. The neighborhoods in and around The Villages and Ocala offer good deals for those who want to live in these areas.